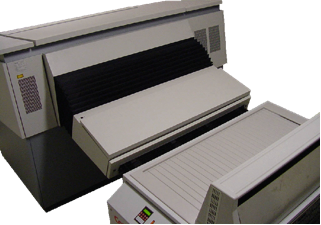 Available in offline (manual loading table) or online format (auto loading) to support all major PCB Film Plotters available on the market. The processor delivery incorporates all required Online specifications to support the BG7500 in Online format. This includes a mechanical kit to connect the Barco exit bridge with the processor flat front as well as a signal interface to ensure a stable work flow. WideTrack PCB Processor range, offering 140 and 200cm processing width. Processing capacity: 80cm / min processing capacity @ 40 sec DevTime. 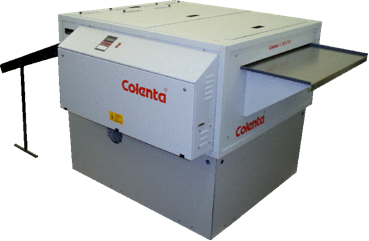 Colenta PCB film processors are well established with a proven reputation for quality production, reliable performance and long life operation. The Colenta IL-PCB Filmprocessor range is a fully automatic dry to dry processing system designed for reliable processing of all types of PCB film. The processor incorporates a non opposed roller transport system that has been produced to ensure minimal contact with the film emulsion and has a series of intermediate wash water crossovers which safely transfers the film between each stage of processing to produce high quality PCB images requiring the minimum of operator involvement. Low level monitoring in all processing tank solutions.